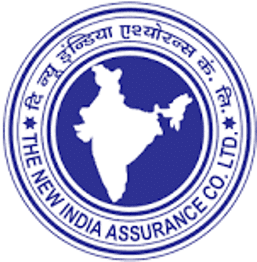 New India Assurance Company Ltd - NIACL published an official notification for Recruitment of Administrative Officers (Generalists & Specialists) for 312 posts. Eligible candidates can apply for this recruitment. You can view more details about this recruitment including No. of posts, name of post, Educational qualification, Age limit, Selection process, How to apply etc... You can also view official notification and other important facts about this recruitment e.g. Important links and Important dates. Note: Candidate should possess certificate in proof of passing the qualifying examination as on 01.12.2018. MBA/PGDM Finance candidates must furnish certificate from university confirming their specialization in finance at the time of interview, failing which they will not be allowed to appear for the interview. Rs. 600/- (Application fee including intimation charges) for All candidates other than SC/ ST / PwBD and Rs. 100/- (Intimation Charges Only) for SC/ ST / PwBD. Phase – II: Main Examination will consist of Objective Tests for 200 marks and Descriptive Test for 30 marks. Both the Objective and Descriptive Tests will be online. Candidates will have to answer Descriptive Test by typing on the computer. Immediately after completion of Objective Test, Descriptive Test will be administered. Phase – III: Interview: Candidates who have been shortlisted at the end of Phase-II will subsequently be called for an Interview to be conducted by the Company. Interview will be conducted at select centres. The weightage (ratio) of online Examination and Interview will be 80:20 respectively. The centre, address of the venue, time & date of Interview will be informed to the shortlisted candidates in the call letter. Candidates are required to download their interview call letters from company’s website. Please note that any request regarding change in date, centre etc. of interview will not be entertained. However the company reserves the right to change the date/ venue/ time/ centre etc. of interview or hold supplementary process for particular date / session / venue / centre / set of candidates at its discretion, under unforeseen circumstances, if any.